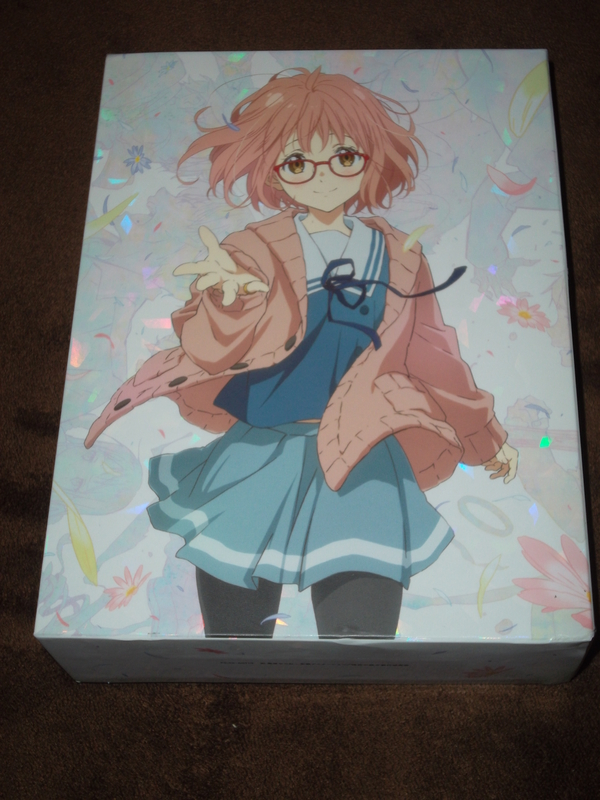 In 2012, Kyoto Animation’s producers chose to go on a very risky course; instead of adapting something given to them from producers at Kadokawa Shoten or TBS, they would choose what they wanted to adapt and become the biggest financier of production. The first series they chose to use this strategy on was Love, Chunibyo, & Other Delusions, a romantic comedy helmed by Tatsuya Ishihara. The series was very popular and did very well financially for the studio, which prompted a second season to be greenlit alongside a recap film to remind viewers about the franchise. The movie would run in theatres starting in September 2013 while the second season would air in January 2014. 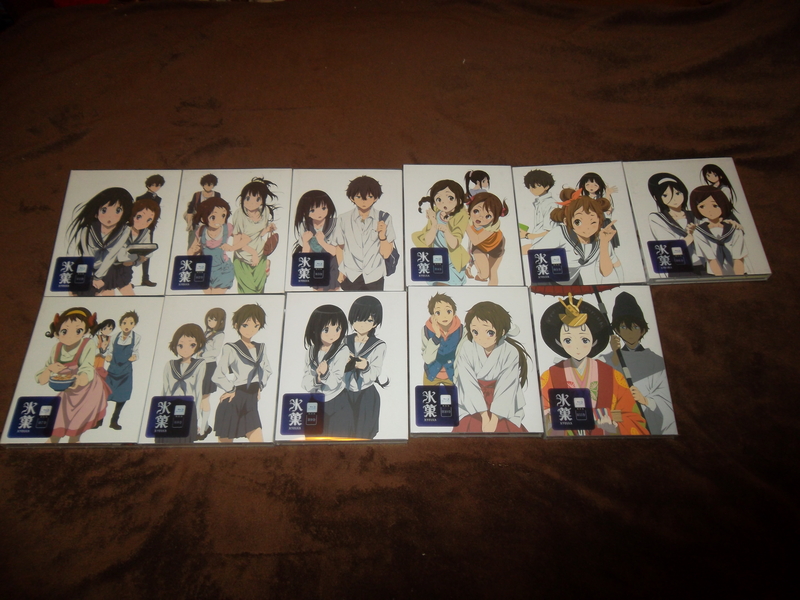 Before the first Blu-ray/DVD volume of the second season would be released, the movie would be released on Blu-Ray/DVD. This is a review of that film’s Japanese home video release. In 2009, Kyoto Animation continued their desire to produce original series by holding an awards competition designed for new authors to submit titles that could be adapted into an anime series/film. They announced 5 honorable mentions in the novel category in 2010 and published one of those winners in May 2011 with plans to produce an anime adaptation in 2012 following Yasahiro Takemoto’s Hyouka. With it being a romantic comedy, the producers turned to Key visual novel veteran Tatsuya Ishihara to helm this very important adaptation. They gave him 12 broadcast episodes, an OVA, and a bunch of web shorts to tell his tale and compiled all of those onto 7 Blu-Ray/DVD volumes. 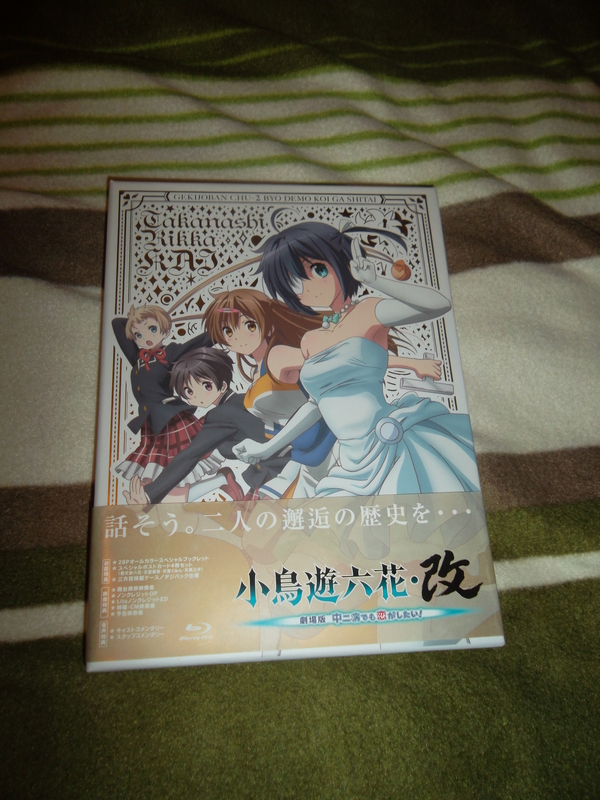 This is a review of those 7 Love, Chuunibyou,& Other Delusions Blu-ray Limited Edition volumes. Nichijou was a highly anticipated show. Why shouldn’t it have been? Kadokawa Shoten were riding high off of many successes in the late 2000s anime market. Their partnership with Kyoto Animation on the Full Metal Panic, Haruhi Suzumiya, and Lucky Star series earned them lots of yen from novel sales and merchandising. While there was a slight downturn with their collaboration on the Munto TV series, that could be easily explained as a blip, a statistical outlier. As such, Kadokawa Producer Atsushi Ito figured big things would happen for Nichijou and planned/marketed it as a success from day 1. Suffice to say, certain goals were not met and Kadokawa Shoten’s video division took a loss on the show. 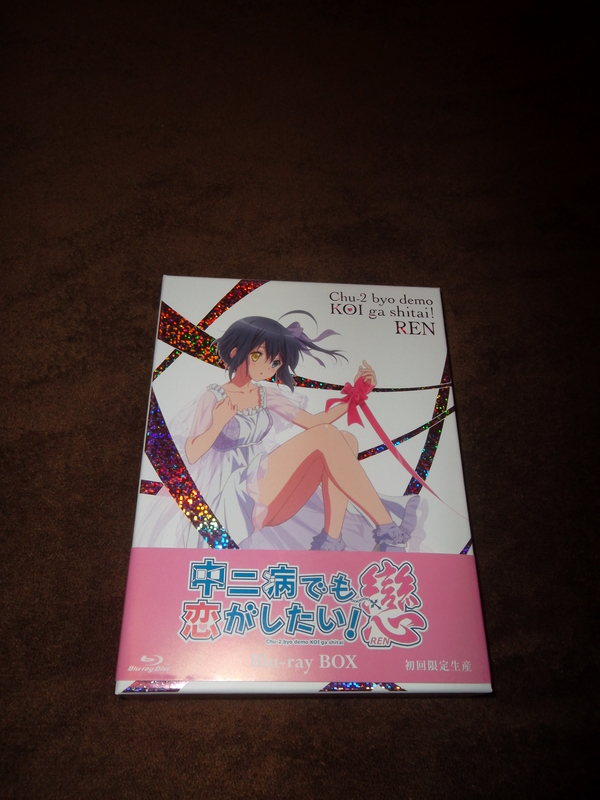 Likely putting a popular gag comedy in 13 BD/DVD volumes scheduled for longer than a year didn’t help. 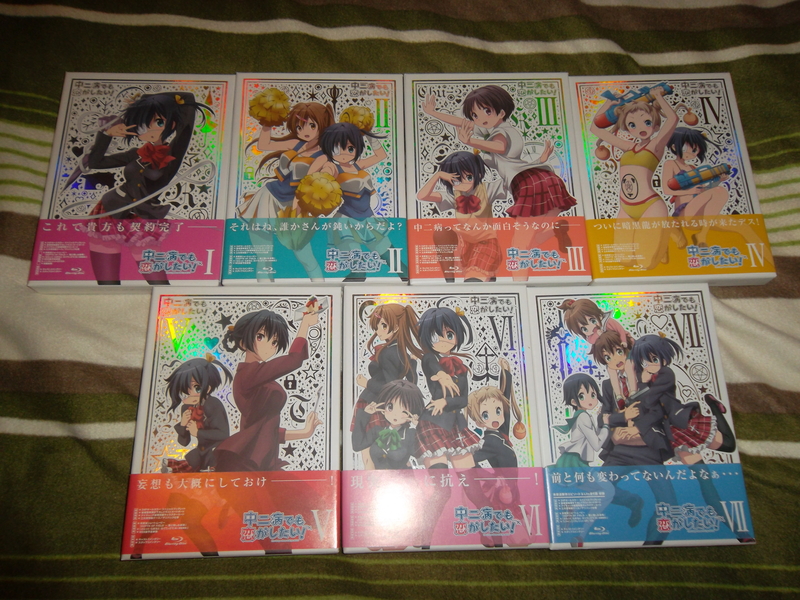 In 2013, Kadokawa began re-releasing older titles in compilation Blu-ray boxes. 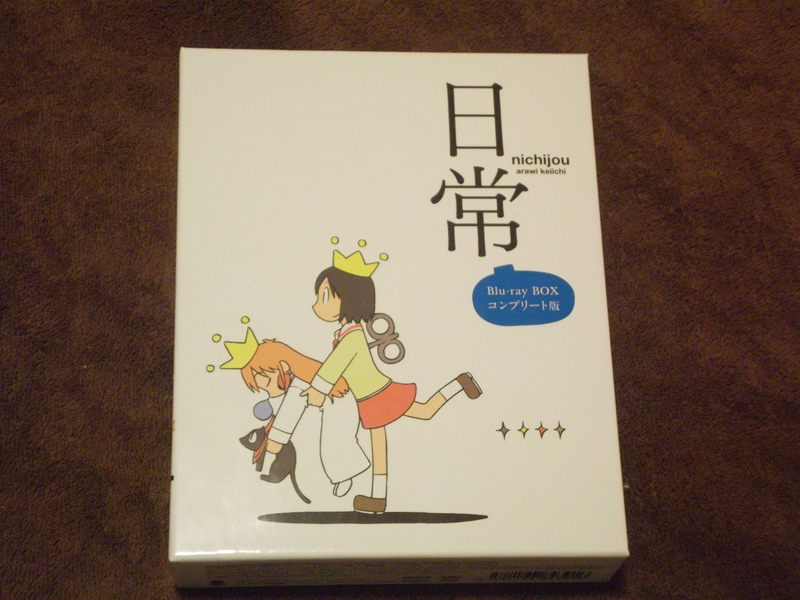 The very first title released in this format was Nichijou to earn a bit more yen from video sales. This is a review of that BD-Box from August 2013.